Hands up if you love chocolate! Well you'll love this award winning chocolate!!! Moo Free is a Chocolate company based in the UK which sell Dairy-free Milk Chocolate Alternatives. They are Lactose free, Wheat-free, Egg-free, Gluten-free, No GM, Casein free, Vegetarian & Vegan! Moo free bring out seasonal products (eg advent calendars, easter-eggs...) and they are always super cute and perfect for any age to enjoy! I enjoyed one of their Bunnycomb easter eggs this easter and it was SO good! 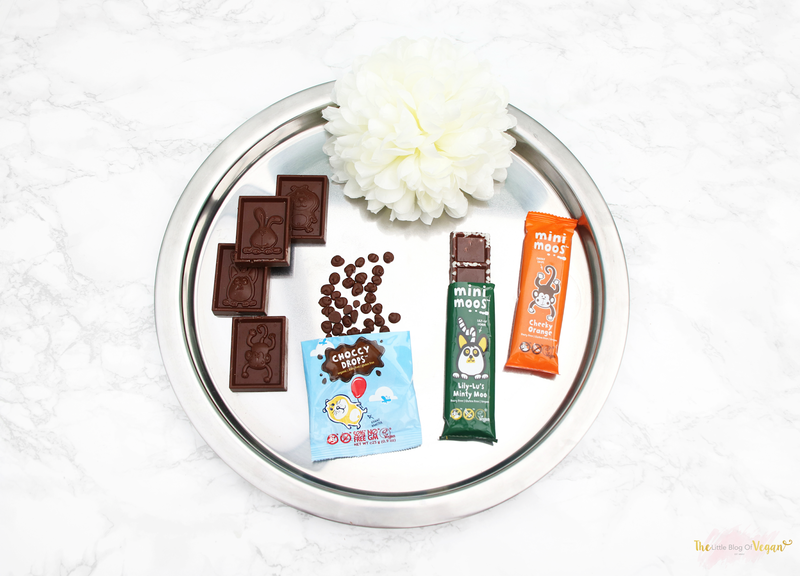 The Moo free's Original chocolate bar was the first vegan chocolate i ever had when i first turned vegan! Since then, i have grown to love Moo free and they have quickly become one of my favourite vegan chocolate alternatives! I love the creaminess of the chocolate without it containing any animal ingredients! My favourite flavours have to be Orange as i love chocolate orange! Another favourite of mine is the Banana bar as it contains real wedges of crunchy banana, its mouthwateringly good! All of the bars i was sent are definitely worth tracking down and purchasing! Very lovely packaged products. Also the contents are super Moorish, Tempting and enjoyable. 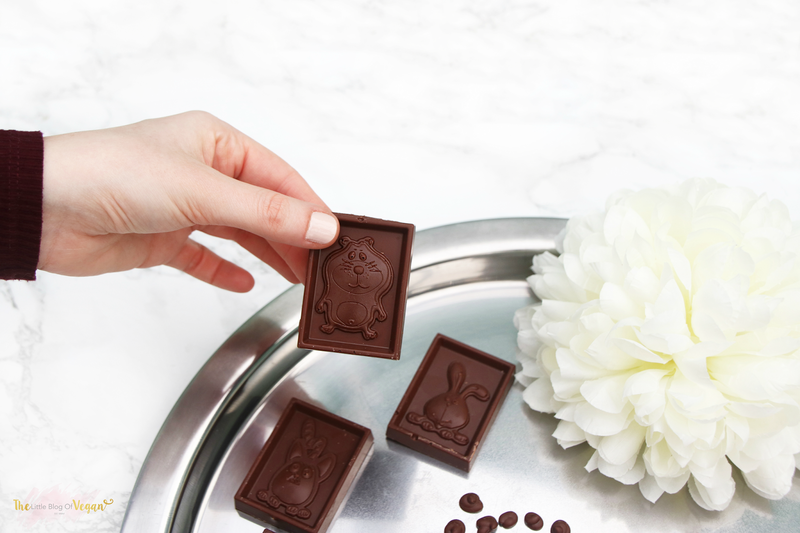 The Animal squares come in a pack of 4 and are adorable mini bars with the Moo free mascots. The Choco drops are the perfect sized tiny treat! They would be great in baking and for decorating desserts.